About a year and a half ago Craig and I got hooked on a show on ABC called Willie’s Chocolate Factory. It’s about a guy named Willie living in England who decided that all the chocolate that was currently on the market was to full of milk and sugar and decided to make some pure cacao chocolate. The series went through the whole process of buying a cacao farm in Venezuela, starting up a factory back in England to produce 100% cacao chocolate and marketing and selling his chocolate around the world. 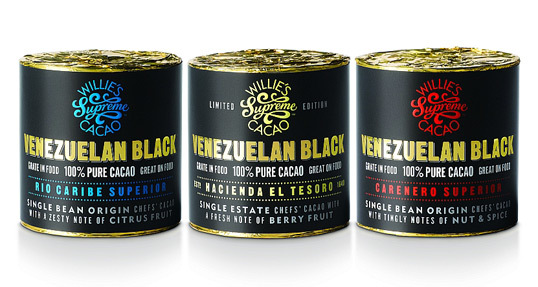 You can buy Willie’s chocolate online and read his story at http://williescacao.com/index.php?rid=home and check out his facebook page here: https://www.facebook.com/WilliesCacao?ref=ts. Craig and I bought Willie’s recipe book online and since receiving it have made some really delicious main meals and deserts with Willie’s cacao. 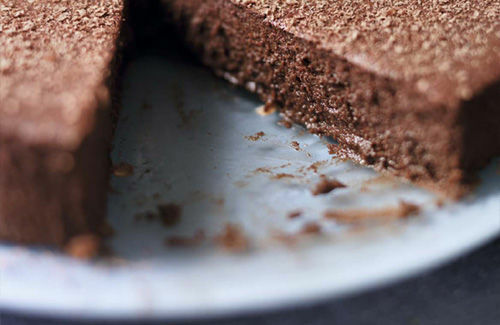 One of my favourite recipes is his El Tesoro Mousse Cake which I made today. 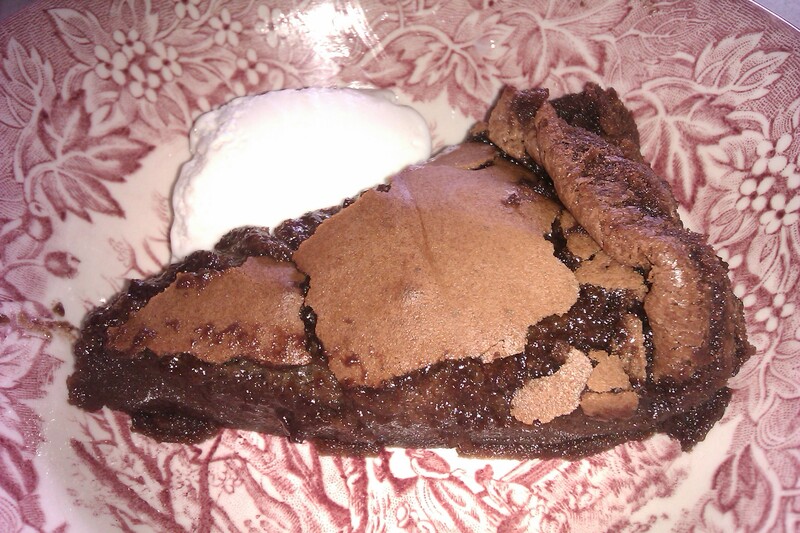 I’ve made this one a lot and I’ve made it with a lot of chocolate variations. Willie’s chocolate isn’t sold in too many places here (however Jones the Grocer at Chadstone is one place to get it) and so at times I’ve just used good quality dark chocolate (at least 70%) from the supermarket. The reason that it’s called Willie and Ethan’s El Tesoro Mousse Cake is because two days ago my sister Kimberley and her husband Jess just had a beautiful new baby boy! 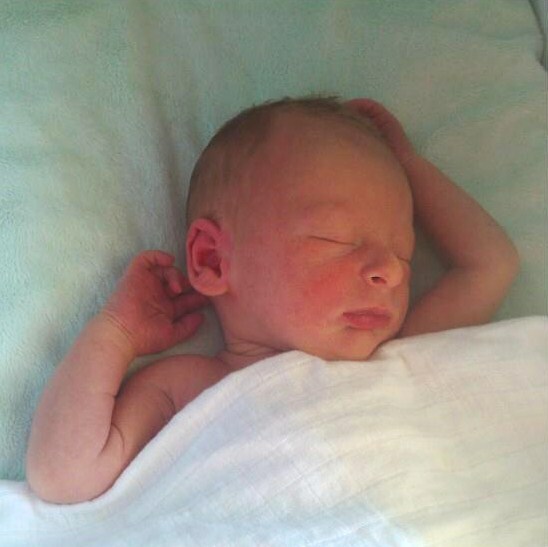 His name is Ethan Max and he is gorgeous. So to celebrate I made this cake and ate it with my parents Trevor and Kim who are grandparents for the second time, my wonderful Auntie Jessie who I was named after (my middle name is Jessie) and my Grandmother Barbara who is a great grandmother for the second time! I’ve also added a photo below of beautiful Ethan. I couldn’t share the cake with Kimberley and Jess because they live in Darwin in the north of Australia, but i’m sure they would have loved the cake too! Preheat the oven to 180 C (fan). Line a 25cm cake tin with non-stick baking paper. 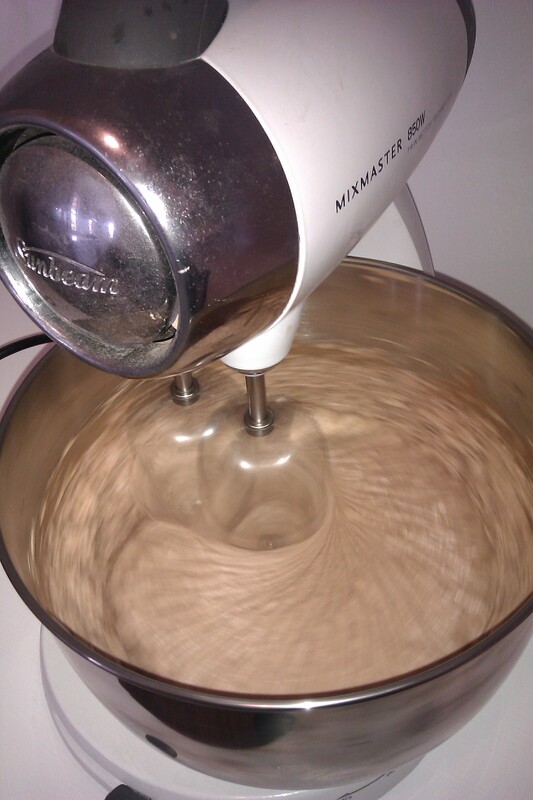 Melt the cacao and butter by placing them in a large heatproof bowl set over a pan of simmering water. Meanwhile, beat the eggs with the sugar and vanilla until pale yellow and fluffy. Pour the cacao mixture into the eggs and beat to combine. Stand the lined tin in a roasting tray and fill the tin with the mousse mixture. Pour enough boiling hot water into the roasting tray to come halfway up the side of the tim. Bake for 30 minutes or until set. Allow to cool in the tin. Willie’s looked a lot better than mine , but here is mine anyway! 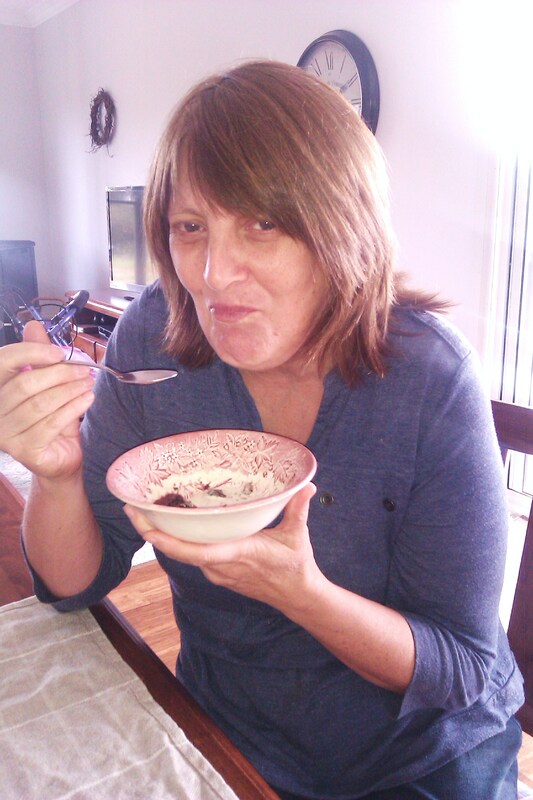 I had a little ice cream with mine and it was deliciously light, just like chocolate mousse! 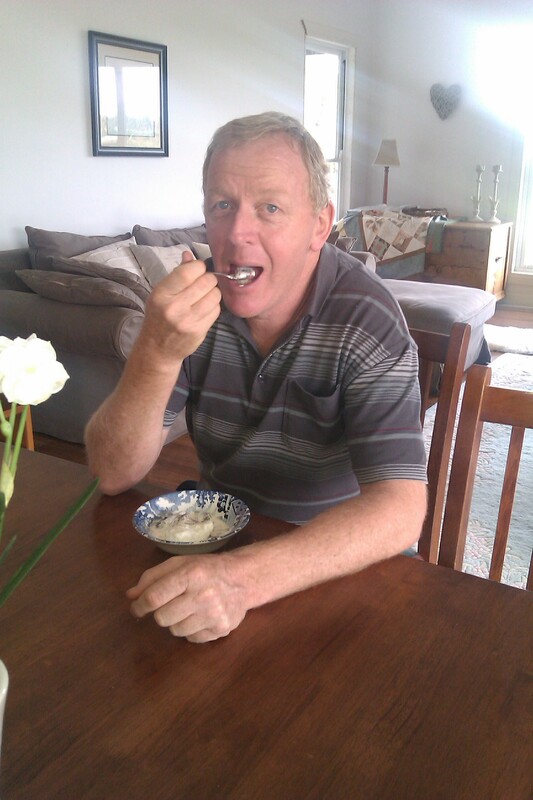 Dad put cream and ice cream on his, not because it needs it, just because he is addicted to it. OOOWW YUM. I can’t believe we missed out on this delicious cake. I feel I deserve some considering I pushed the handsome grandchild out.. if its no trouble could you please drop one by?? 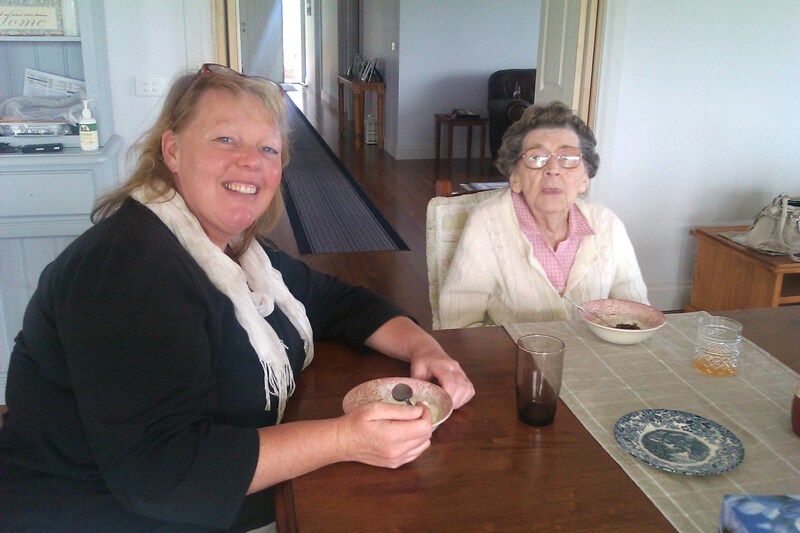 MMM .. Well I it certainly looked thata grandma aunty jess and mum & dad all enjoyed Ethan and I cake. Good cooking sis 😀 xo p.s its the thought that counts, but the taste would have to be even better! !